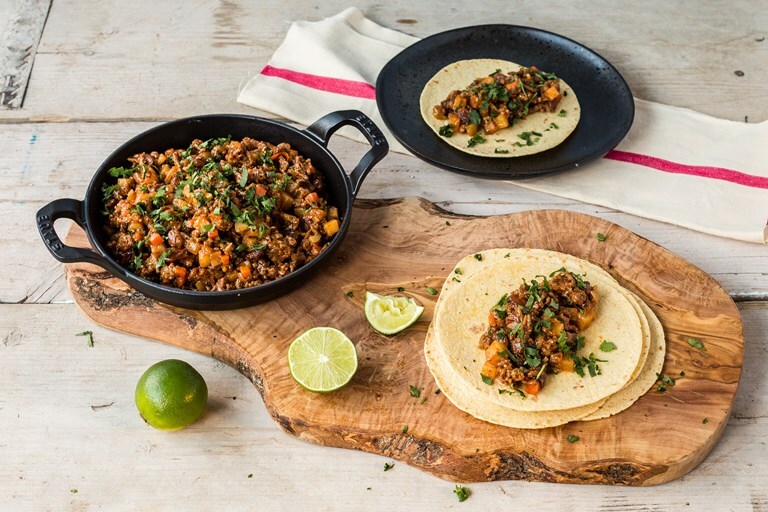 This simple picadillo recipe has the perfect balance of sweetness and spice. A pleasing tanginess comes from the addition of vibrant tomatillo salsa for a great depth of flavour. Serve in tacos or with rice for a hearty Mexican-inspired midweek meal.